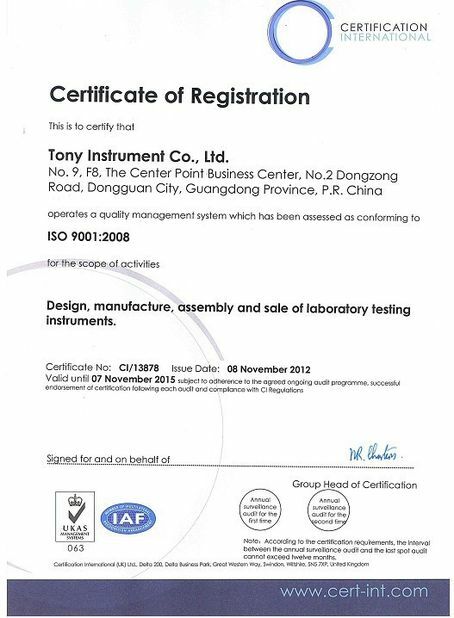 Purpose: This test apparatus is used for the strength and durability performance test for office chairs, including seating load test, backrest load test and seat & back combined test. 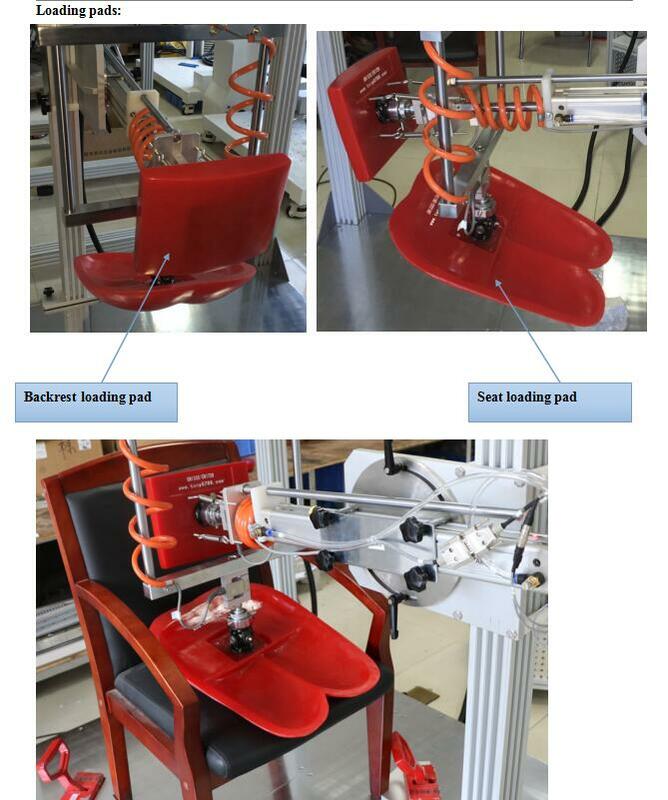 Principle: This test apparatus do the durability test to chair seat and backrest by simulating the loading application to the chair as daily use and habit misuse. 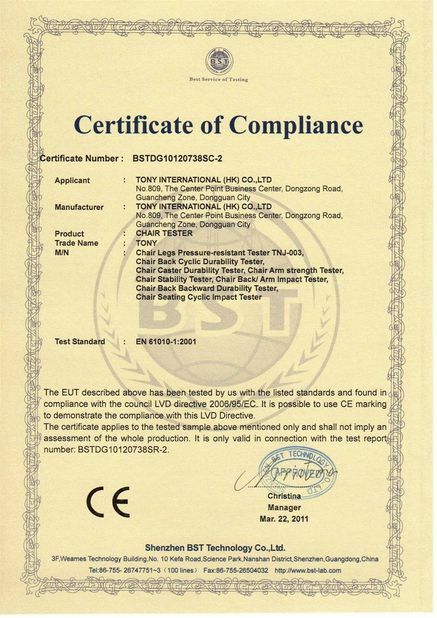 First use the seat loading pad to apply the certain loading to the seat surface, then the back loading pad to the backrest, then loading unload to finish one cycle of test, repeat the loading movement some times and certain cycles according to different test requirement, to determine the durability performance of chairs. Seat and chair back durability combined tester. Seat and back Static load test: test consisting of heavy loads being applied a few times to ensure that furniture has sufficient strength under the highest levels of loading that might reasonably be expected to occur. Seat and back Fatigue test: Test simulating the repeated application of loads or movement of components occurring during long-term functional use. 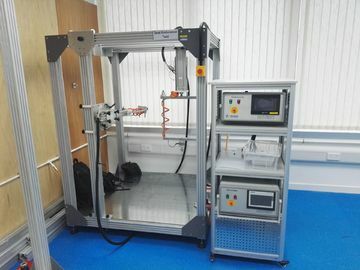 This test apparatus do the durability test to chair seat and backrest by simulating the loading application to the chair as daily use. First use the seat loading pad to apply the certain loading to the seat surface, then the back loading pad to the backrest, then loading unload to finish one cycle of test, repeat the loading movement some times and certain cycles according to different test requirement, to determine the durability performance of chairs. Pneumatic drive to load, easy to clean. Accessories:Seat loading pad 1 set; back loading pad 1set; Stationary fixture 1 set. 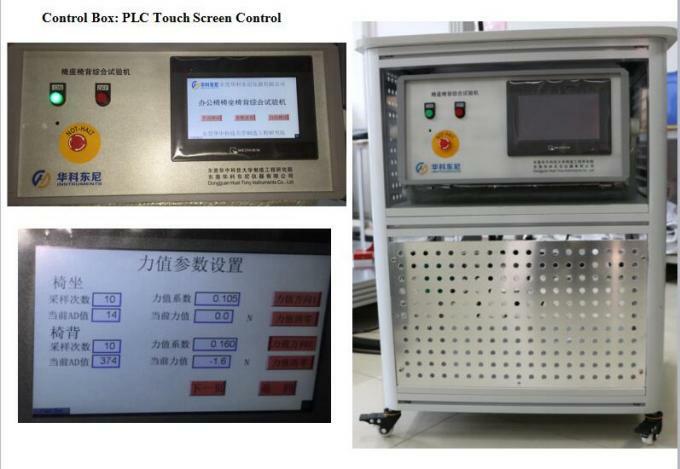 Apparatus structure: This tester uses aluminum alloy frame, iron and aluminum plates for the structure manufacturing. Motor part has a air cylinder operation with electronic components for operation.